This templar castle (also knowns as Castillo Templario) dominates from high above the crossing of the river Sil in the city of the same name. Built by the templars in the 12th century, what we see today is mainly the work carried out by different noble owners along the 14th century. 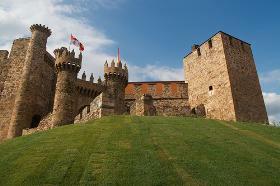 Ponferrada Castle has an irregular plan with double line of defense on the side facing the city and only one facing the river. 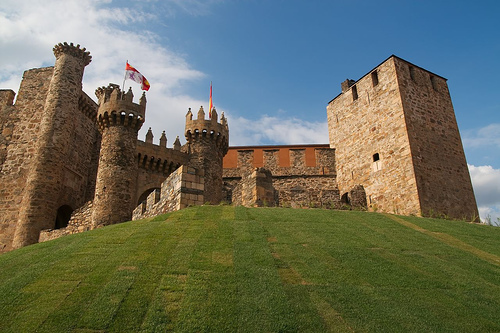 It occupies an area of more than 8000 square meters and its interior is divided in two different parts: the "old castle" built by galician nobleman don Pedro Fernandez de Castro and the "new castle" built by the Count of Lemos, Pedro Alvarez de Osorio and his grandson. 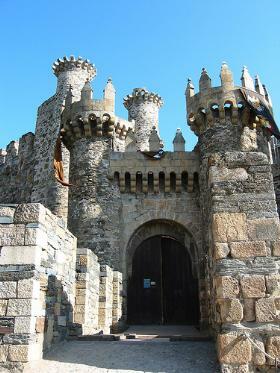 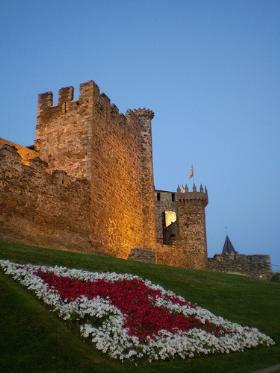 The Ponferrada Castle is open to visitors.